INDUSTRY.co.id - Jakarta, One by one subsidiary of PT Bahana Pembinaan Usaha Indonesia (Persero) moved to PT Bank Rakyat Indonesia (Persero) Tbk. Banks that focus on MSME loans are preparing up to Rp 4 trillion for the development of a subsidiary. There are a number of steps done by banks in spurring the growth of its business. Not merely relying on organic strategies, inorganic measures by acquisition are considered a rapid and effective strategy to boost revenues while reinforcing asset values. The latest acquisition action was carried out by PT Bank Rakyat Indonesia (Persero) Tbk which recently completed the acquisition of 35% shares of PT Bahana Artha Ventura (BAV). The last name is a subsidiary of PT Bahana Pembinaan Usaha Indonesia (Persero) or BPUI. With the completion of the acquisition then the number of shares BPUI in BAV shrank to 64.65 percent from sebelunya 99.45 percent. While the share of Employee Cooperative BPUI decreased from 0.55 percent to 0.35 percent. On the other hand, the paid up / issued capital of Bahana increased from Rp132.24 billion to Rp203.45 billion. Based on the official information published by the company in Indonesia Stock Exchange (IDX), the bank which is known to focus on the distribution of micro business credit and small medium enterprises (SMEs) injects capital to Bahana Artha Ventura amounting to Rp71.21 billion. President Director of BRI Suprajarto once explained that the acquisition of Bahana Artha Ventura is done to realize the company to penetrate the business of financial technology technology (financial technology / fintech) through the venture capital company. Not stopping the acquisition of BAV, BRI is also in the process of due diligence for the acquisition of another subsidiary of BPUI, namely Bahana Sekuritas. Suprajarto also revealed that the acquisition of Securities Materials will also be finalized in November 2017. 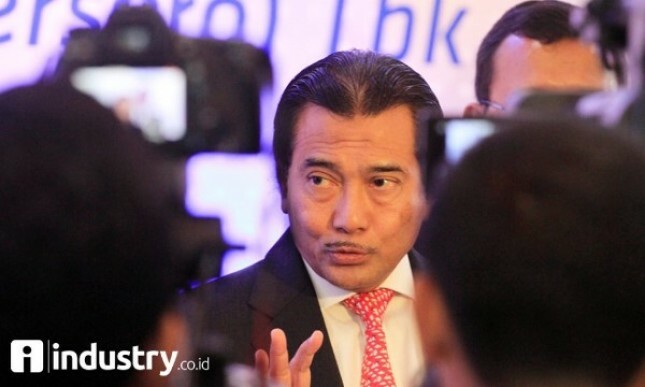 However, BRI's ambition has been buried since the Minister of State-Owned Enterprises has been Dahlan Iskan in 2012 until now has not been completed. As for the purpose of acquisition of Bahana Sekuritas, the management of BRI said it was the bank's step in strengthening its penetration in the capital market. Currently 100% Bahana Sekuritas shares are still narrowed by BPUI. Unlike the minority acquisition of Bahana Artha Ventura, the acquisition of Bahana Sekuritas will be BRI by majority or approximately 60 percent ownership. Meanwhile, Finance Director of BRI Haru Koesmahargyo previously claimed to have prepared funds of around Rp500-700 billion for the acquisition of Bahana's two subsidiaries. As for this year, the state-owned company has budgeted around Rp 4 trillion to expand its subsidiary business, including adding subsidiaries. Well if the acquisition of Bahana Sekuritas succeeds, then BRI has positioned itself as a bank that has complete financial services. Besides having two subsidiaries in banking industry namely BRI Syariah and BRI Agroniaga Tbk. BRI also has BRI Multifinance as well as BRI Life. Efforts to expand the business line with the acquisition of financial services company conducted BRI with a target to increase the coffers of income. The target of all subsidiaries can contribute up to 10 percent of BRI's consolidated total profit in the next five years or 2022. Meanwhile, BRI's newly-listed subsidiaries contribute 2.5 percent of BRI's total consolidated profit. As of the third quarter of 2017, BRI recorded a consolidated net profit of Rp 20.5 trillion. The amount only grew by one digit by 8.27 percent compared to the same period last year valued at Rp 18.97 trillion. Finance Director of BRI, Haru Koesmahargyo, said that the company's net profit is mostly supported by net interest income which grew 11.96 percent to Rp 55.19 trillion in the third quarter of 2017 compared to the previous year. While until the end of 2017 BRI called Heru eyeing profit growth of 5 percent 7 percent compared to earnings at the end of 2016. The news of acquisition in the banking industry is not only done by BRI. It was recently revealed that a Japanese investor, Bank of Tokyo-Mitsubishi UFJ (BTMU) plans to buy about 40 percent of Bank Danamon's shares to expand its business in Southeast Asia. The transaction value is mentioned about 1.76 billion US dollars or equivalent to Rp23, 7 trillion. The news of the acquisition plan has been confirmed by Director of PT Bank Danamon Tbk, Michellina Triwardhany. According to him, there are investors who have started the assessment to buy shares owned by a Singapore-based company that controls the bank, Asia Financial Indonesia Pte Ltd (AFI). Michellina through its official statement in Jakarta, some time ago mentioned that Asia Financial Indonesia Pte Ltd (AFI) has received "expression of interest" related to the ownership of shares in Danamon. However, Michellina asserted, AFI and investors are just going to negotiate so there has not been a binding result or agreement. The interest of the investor depends on the outcome of further negotiations which may not necessarily result in a binding agreement. So this transaction is not necessarily realized, he said. Nevertheless, the acquisition made the management of PT Bank Danamon Tbk to deal with the Financial Services Authority (OJK). This institution has called the Bank Danamon management to clarify the news. In principle, OJK supports this plan, but it should be able to contribute to the national economy. OJK Banking Supervisory Chief Heru Kristiyana said that until now it has not received Bank Danamon's acquisition request by BTMU. However, OJK believes that this corporate action will strengthen Bank Danamon's performance to grow rapidly. Heru emphasized that when submitting his official request is included a concrete plan to be able to help Indonesia's national economy. For example, Bank Danamon's commitment to provide special credit to Indonesia's infrastructure. "Do not come (to Indonesia) just to give credit to the (company) Japan only, so we hope BTMU can create a business plan that can sustain the national economic growth," said Heru when found editorindo Industry.co.id in OJK Office, Jakarta , some time ago. In Indonesia, Bank Danamon has performed well. Throughout January-September 2017, the bank managed to reap a profit of up to Rp 3 trillion, up 21 percent over the same period last year. Related to shareholders, referring to data of Indonesia Stock Exchange (BEI), Temasek Holding through Asia Financial (Indonesia) Pte. Ltd. holding 67.37 percent of Danamon's shares. The remaining 26.12 held by the public, and JPMCB-Franklin Templeton Investment Fund of 6.51 percent.